Wave Light Games is continuing their wave of updates for popular tactical role-playing game Demon’s Rise 2 ($7.99). One week ago brought a release that brought us a new character option, the Cataphract, among a bevy of other nice changes. Today, I can tell you that another update has been submitted to Apple to unleash yet another character. 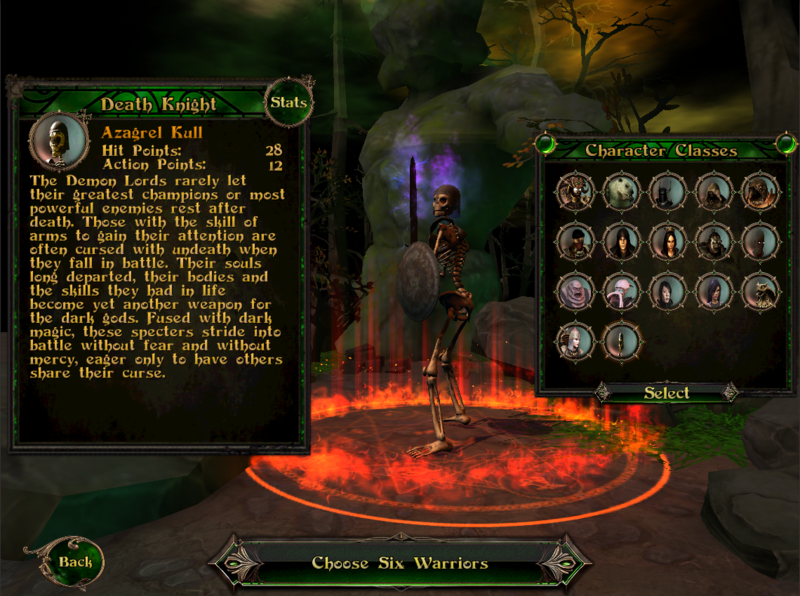 The Undead Knight is the seventeenth character option in the game and sure looks to be a good one. Azagrel Kull, the Death Knight, was once a great foe of the Demon Lords. They are loathe to let talent go to waste, however, and death is no ending for the likes of them. The Death Knight’s power focuses on fear and corrosion and his attacks will permanently weaken opponent’s armor. Immune to fear himself, a boon for morale considerations, the Death Knight’s powers radiate fear at foes as well. At higher levels he can teleport and summon a powerful undead pet to help vanquish his foes. The Death Knight will show up in game just as soon as he clears the final test to undeath: the Apple approval process. He’ll be yet another very flavorful and certainly fun looking option in a game full of great character options. Check out Demon’s Rise 2 if you haven’t yet, and head over to our forums where the game has a very healthy following.